“I believe in creating a new ‘you’ while maintaining the best experience possible during your visit. Listening to clients needs is very important to me along with educating what products are best suited to be able to produce the salon look at home. Behind the chair is very gratifying, but as a Skin Care Specialist, I take pride in working with clients to target any particular skin care needs they may have. Also I enjoy makeovers with our ‘Youngblood Mineral cosmetic line. Jae is a Stylist at our salon. She specializes in Hair Services, Skin Care Specialist, Manicures, Pedicures, and Waxing. 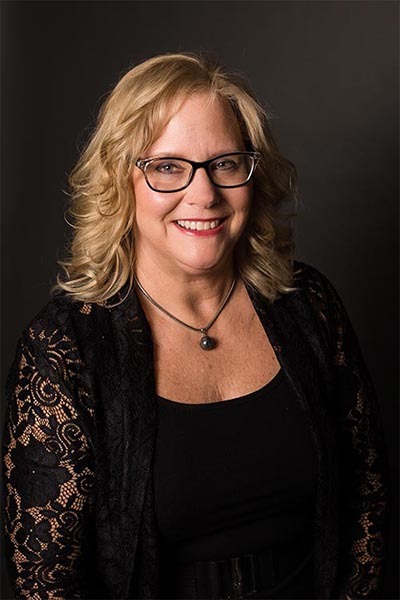 She is a graduate of Faust Institute of Cosmetology, Spirit Lake, Iowa, and is a member of Iowa Cosmetologists and Educators, Association/Professional Beauty Associate (NCA/PBA) and CBI. Jae joined the team in 1993.